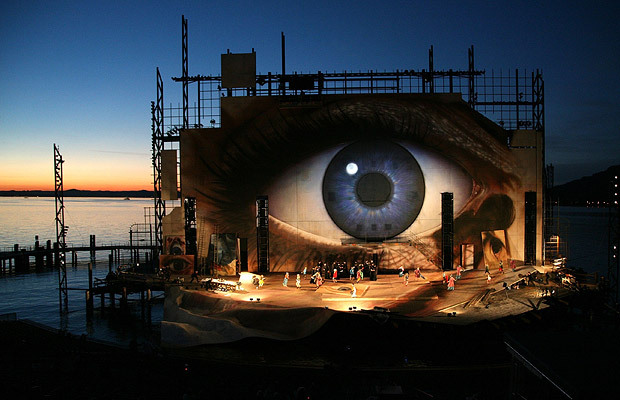 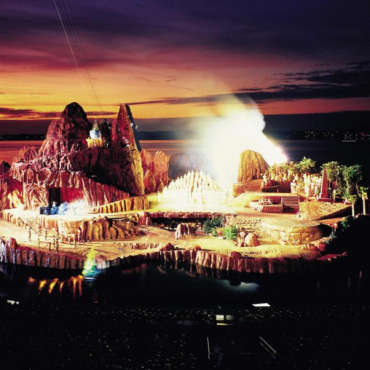 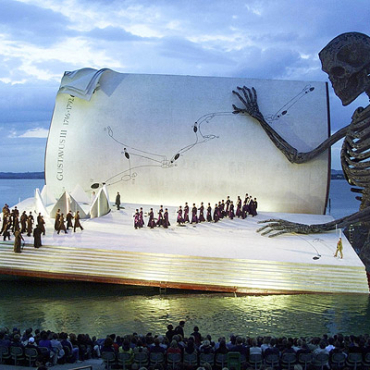 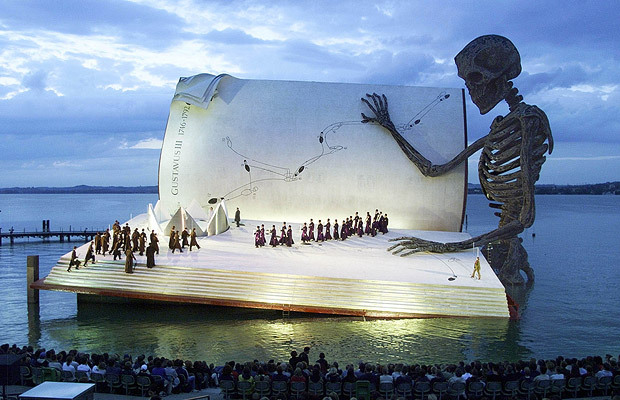 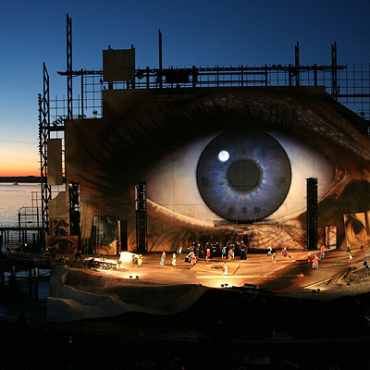 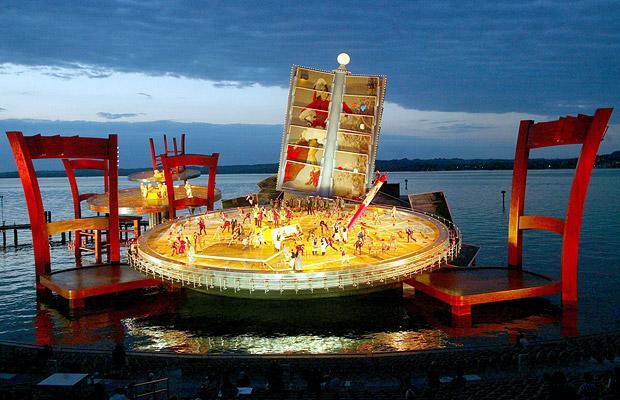 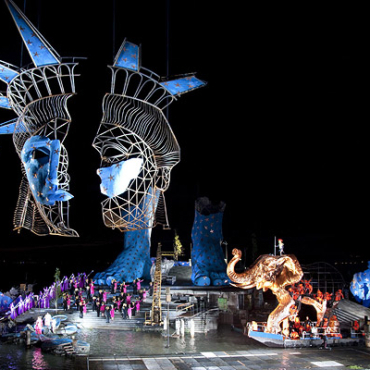 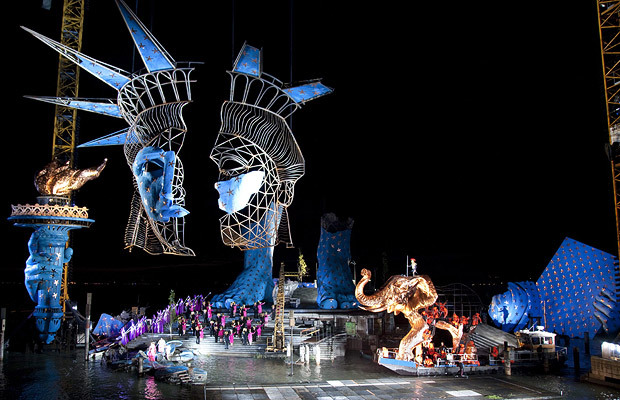 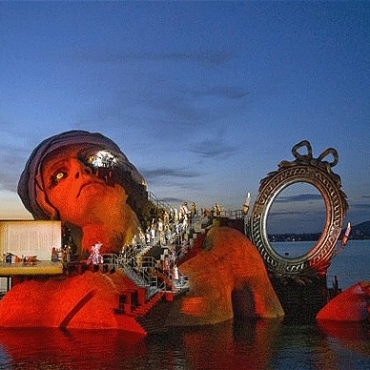 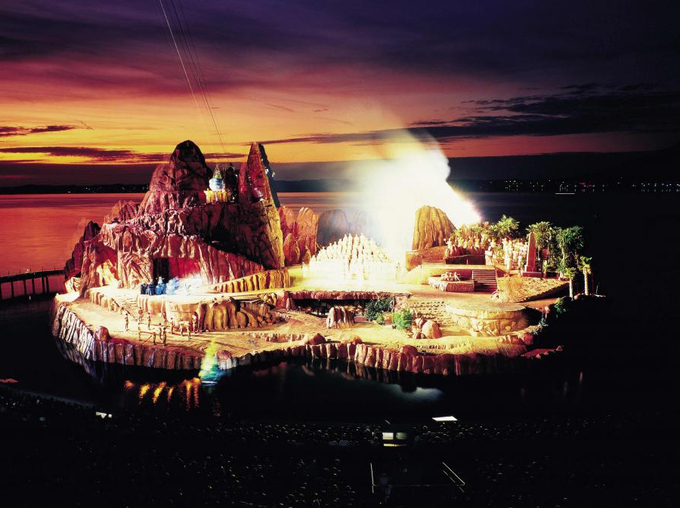 The Seebühne, a massive floating stage on Lake Constance, is the centerpiece of the annual Bregenz Festival in Austria. 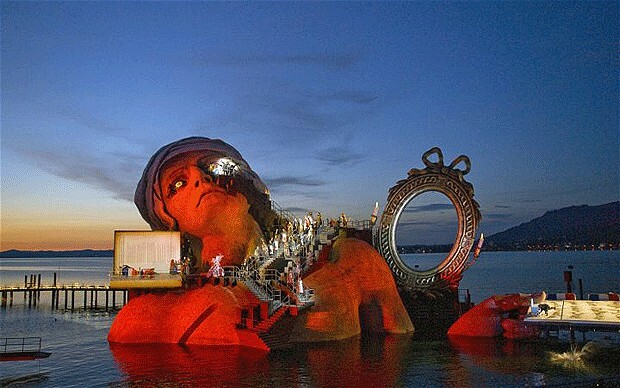 The stage hosts elaborate opera productions that are famous for their extraordinary set designs, for audiences of up to 7000. 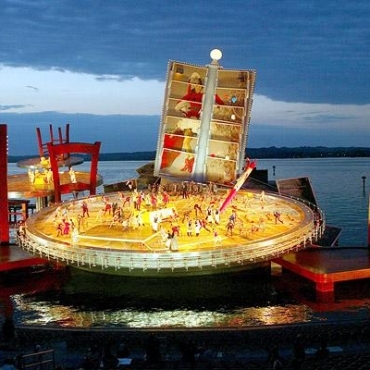 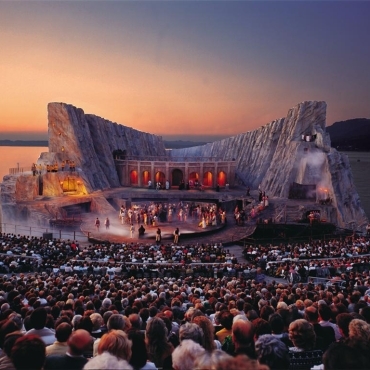 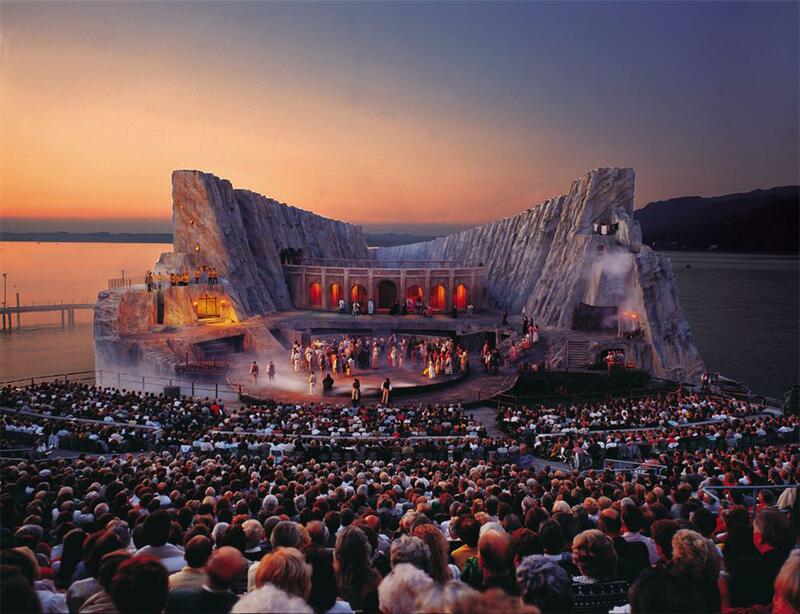 The Bregenz Festival is currently underway, with performances through August 21.